Most people don’t respond well to lectures, and you’d be hard-pressed to find someone who doesn’t know smoking is bad for their health, and definitely bad for their teeth. Knowledge is power, however, and sometimes the best way to open up your mind is to simply educate yourself. West Des Moines dentist, Dr. Jessica Johnson, explains how smoking is detrimental to your teeth in far more ways than staining and yellowing. How Does Smoking Contribute to Gum Disease? Periodontal disease (gum disease) stems from bacterial growth in your mouth. The bacteria found in plaque start to build up, and cause gum inflammation. At this stage, you have gingivitis, the early stage of gum disease, which can be easily treated. If ignored, however, full blown periodontal disease will develop. The inner area between the gums and bone will form pockets that can collect debris, causing severe infection. 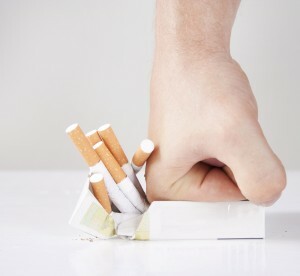 Smoking makes people more susceptible to periodontal disease by interfering with gum tissue cells. Additionally, blood flow impairment can be a side effect that will make healing from all types of infections more difficult. Are Smokeless Tobacco Products Better for Teeth? You may think that it is solely smoke exposure that causes damage to the teeth and gums in smokers. In fact, chewing tobacco can cause gum recession. When the gums recede, tooth roots become exposed, providing a gateway for tooth decay and tooth loss. Sand and grit are ingredients in most smokeless tobaccos that can wear down the enamel on your teeth. Chewing tobacco also puts users at a much higher risk for cancers of the mouth and throat. Since it actually contains higher levels of nicotine than cigarettes, chewing tobacco can be a more difficult habit to break. Visit your West Des Moines dentist at least once every six months for a dental checkup and cleaning. To learn more, or to schedule an appointment with Dr. Jessica Johnson, contact Valley Ridge Family Dental today at (515) 327-62230. 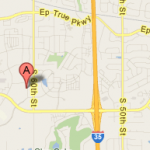 Located in the 50266 area, we proudly serve patients from West Des Moines, Waukee, Urbandale, Clive, and the surrounding communities. This entry was posted	on Sunday, August 17th, 2014 at 5:13 am	and is filed under Blog, Family Dentistry, Oral Cancer. You can follow any responses to this entry through the RSS 2.0 feed. Responses are currently closed, but you can trackback from your own site.